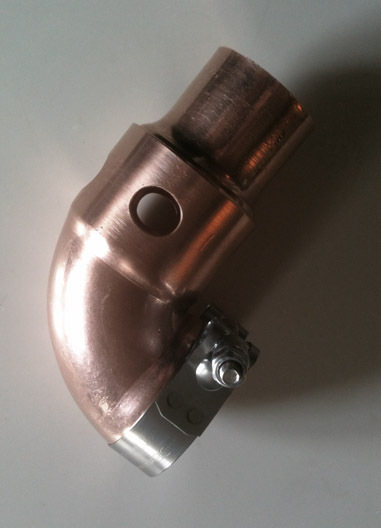 Thought some might enjoy this piece I made from copper plumbing parts to connect my carburetor to an accessory cast iron "hot air stove" that clamps to the exhaust manifold. I cut four slits in the end that clamps to the intake of the carb to allow the clamp to compress the tube. Then I put a reduction tube in the other end .. and drilled through both the outer and inner tubes in four places. By turning the reduction tube you can either let in fresh air (in the summer) or close the holes so that it draws air from a flexible tube connected to the hot air stove. Nice Work! And it looks good To! Looks a lot like an original one I saw years ago! Very clever and great workmanship. It is nice to see things like this.
" a flexible tube connected to the hot air stove"
Here is the air valve ... as mounted with the carburetor stove. 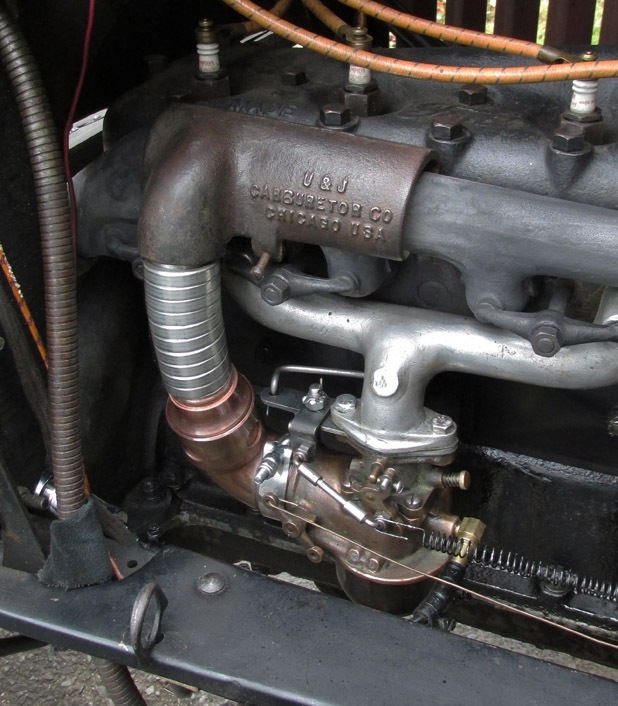 I used flexible exhaust pipe and copper plumbing fittings for the connections.